Our Talented Students Exploring Song & Movement! 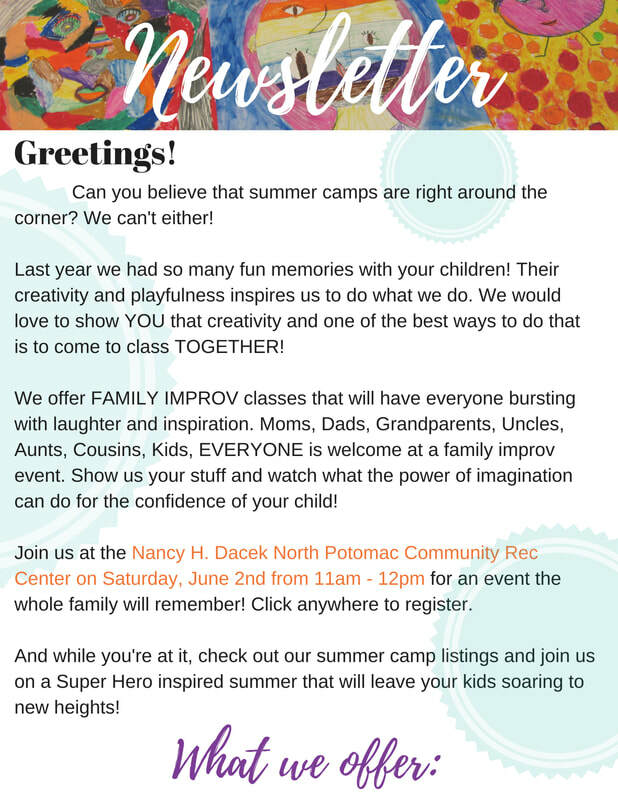 ​Every week this summer Care Actor has camps in and around the DMV. So that means every week we have a new opportunity to teach and awaken the creativity of new students. Last week we have six camps running! 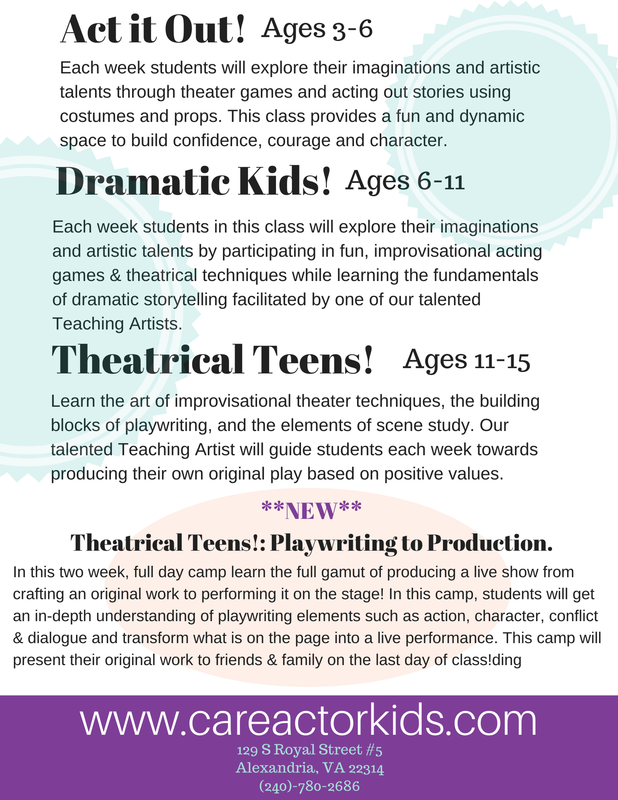 That means six different groups of kids exploring how to improv, write, and think creatively in a way they never have before. One of the most important things we do at Care Actor to facilitate that creativity is by allowing the students to explore the things that interest them most when it comes to the creative process. 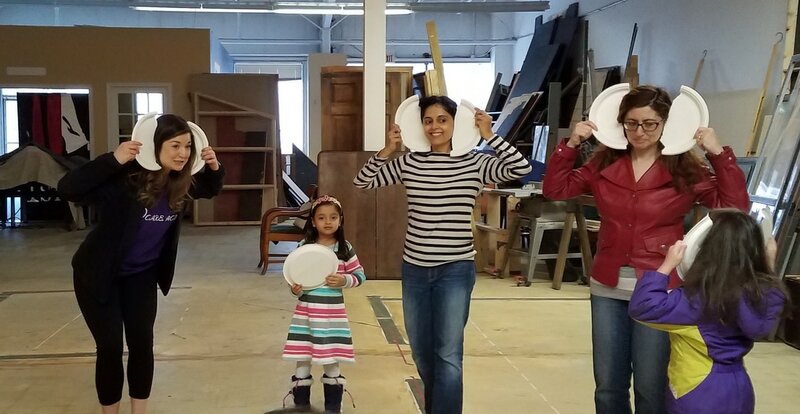 We take all of our students ideas and try to merge them together into one giant play. We learn that collaboration can lead to a new idea much bigger and better than one persons singular input. Last week we had a camp that loved singing! When you have a group that loves singing as much as this one, it would have been a shame not to use their talents in the show. 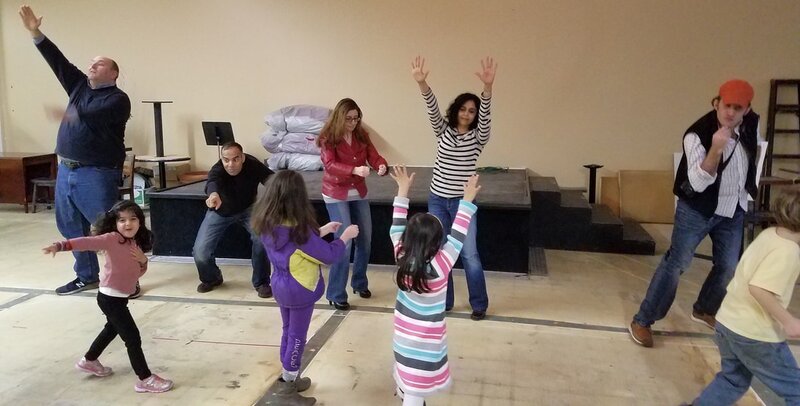 Since the children write their own ten minute play and then perform it for their parents we encouraged them to include a song they all loved to sing in the play. The song they chose was “Baby Shark” a popular camp song that uses funny song lyrics and movement to tell the story of a hungry shark family. In this play Sparky, a golden retriever had to help save a group of passengers that had been stranded on a deserted island after a shipwreck! Sparky was always looking to help, so he leads them to wood where they fashion a raft and head out onto the ocean to look for rescue. Sparky even helps pull them along! While they’re swimming they stop and see A SHARK! In true musical fashion, an interlude is taken to sing “Baby Shark” but luckily Sparky scared the sharks away and they all arrived safely on the shores of a more populated island. Sparky is given a medal of honor and the passengers praise Sparky for his Helpfulness. If you couldn’t tell, the theme for last week was HELPFULNESS. The kids are asked to use a theme to inform their play. We are so proud of these students for showing us how Sparky could be a hero in extraordinary circumstances just through his desire to help. These students impressed me with their enthusiasm and unrelenting willingness to collaborate. 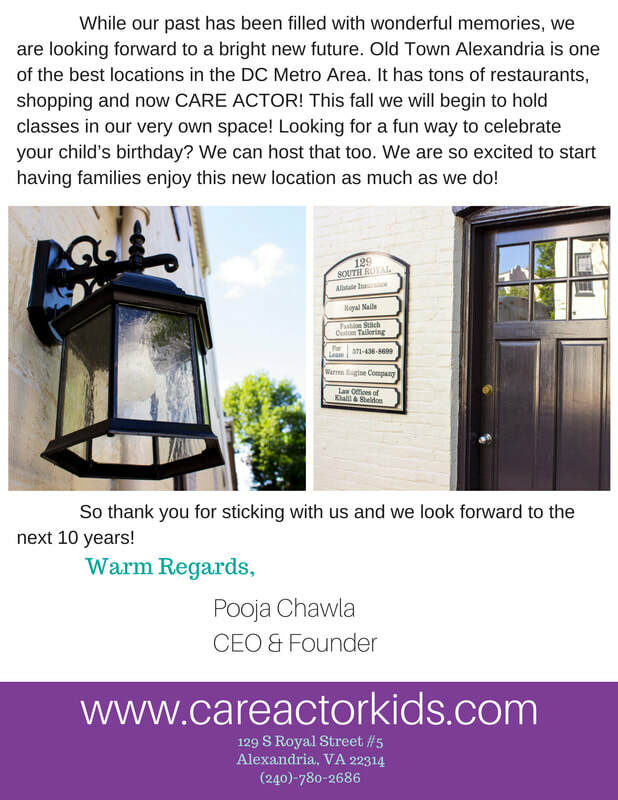 Each week is so different here at Care Actor. I am continually blown away by the students. I hope you will consider enrolling your students in our camps this year. Since every week is so different you can have them coming back for more! How is it possible that our first week of camp has already come and gone? We have been planning and preparing for summer camps since September of last year! It has been a big year for us. We have over 50 camps running with 7 different cities and counties around Maryland and Northern Virginia. Our theme for this year is Discover the Hero in You! 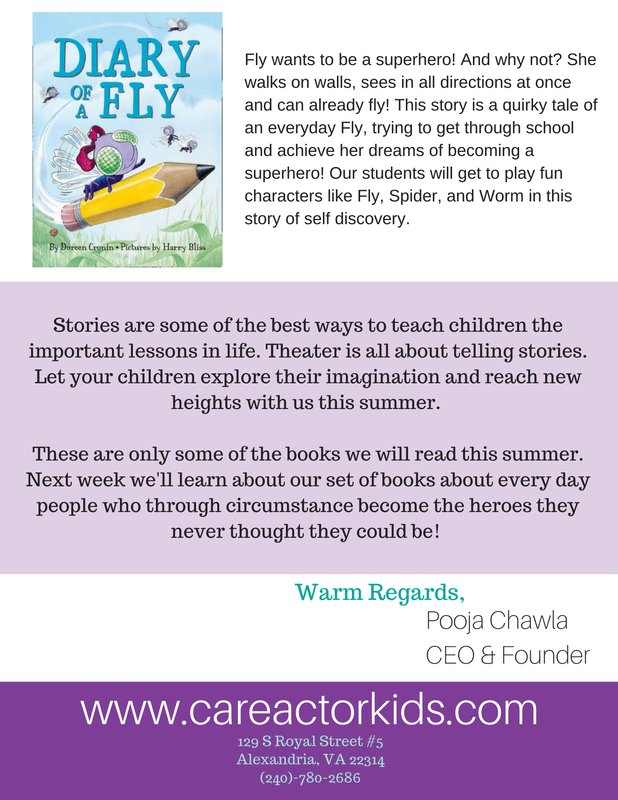 We at Care Actor want to emphasize the good qualities we see in superheroes, their bravery, helpfulness and much more for our students. Then we wanted to remind them that there are Everyday Heroes all around us, in our community, our homes, our schools. Discovering the Hero in You is all about taking the lessons we learn and applying them to ourselves. We wanted to share a little about how our first week of camp went! Our first camp was Act it Out! At Spring Hill Elementary School with Fairfax County Park Authority. Each week our students have a different learning emphasis and this weeks was Helpfulness. 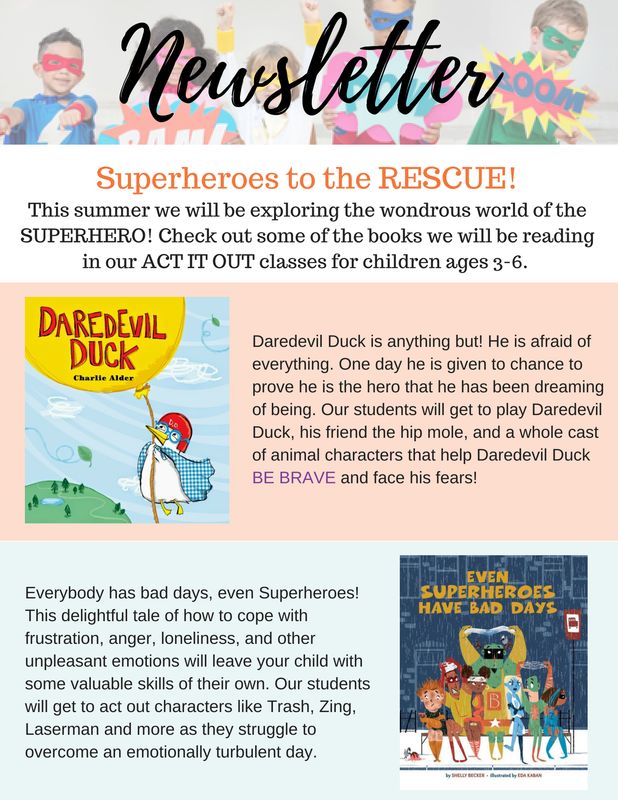 Our students read and performed four different books “Even Superheroes Have Bad Days” by Shelly Becker, “The Giving Tree” by Shel Silverstein, “Anansi The Spider” by Gerald McDermott, and “Give up, Gecko” by Margaret Read MacDonald. Each story has characters that embody the trait of Helpfulness. After reading the story we ask the children what they think the story was about. We ask what types of lessons we can take away from this story. We ask how we can use helpfulness in our daily lives. 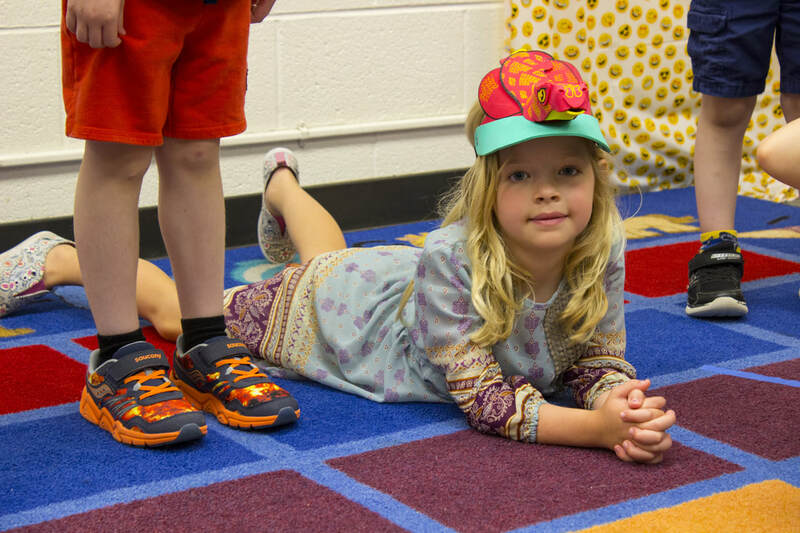 Not only are we teaching the children how to use their bodies and voice to express themselves but we’re also building the characteristics we want to see in the world in them! 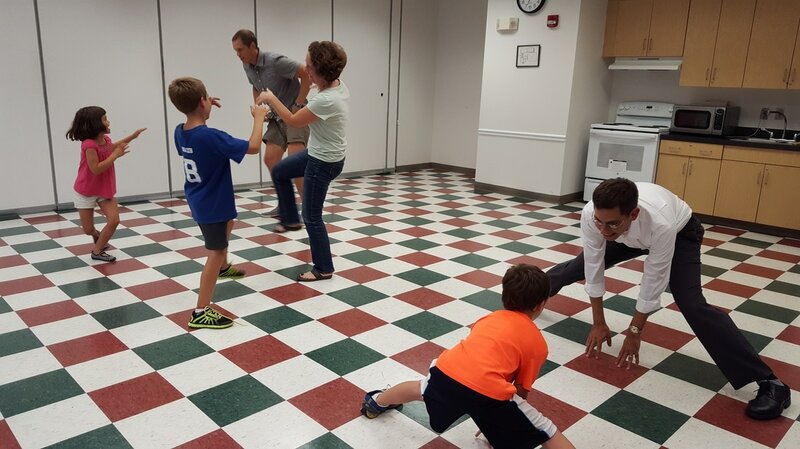 This week the students decided to perform “Give up, Gecko” for their parents. I have seen a lot of Act it Out final presentations and this one was quite special. 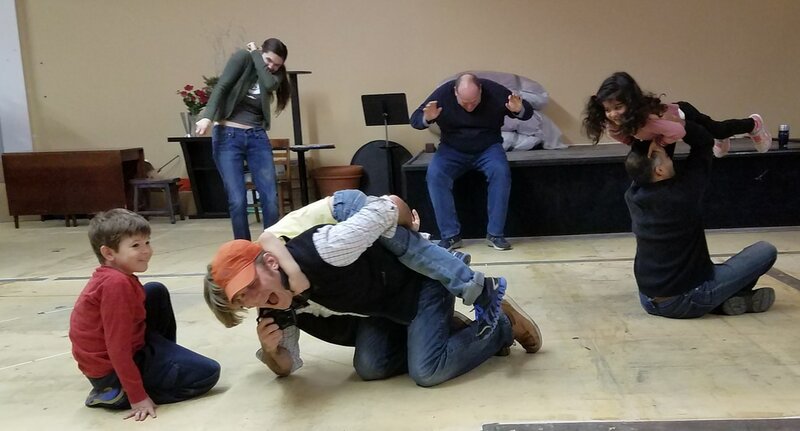 Our Gecko was played by a four year old boy who stomped and boogied around the stage as the other kids yelled “Give up, Gecko” but this Gecko wasn’t giving up! We were so proud of this group and all the parents were too. Next we have two Dramatic Kids! Camps. 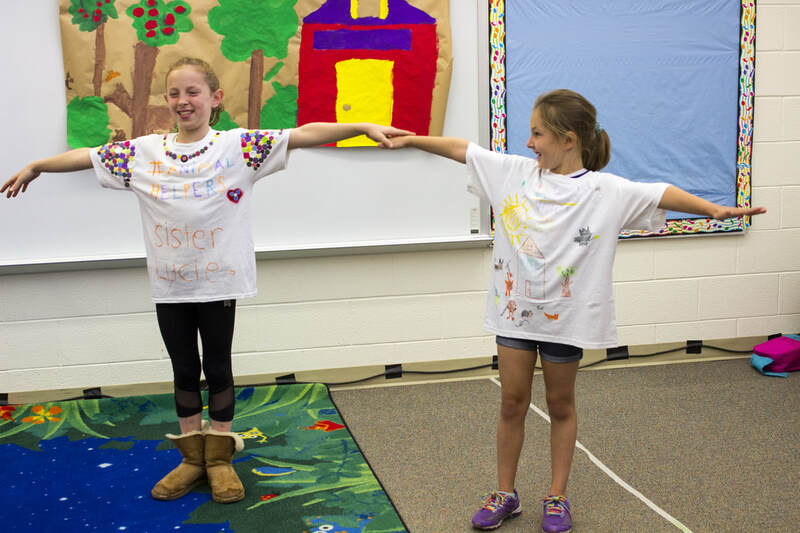 Our Jamestown Elementary School camp with Arlington County created a hilarious play called “The Squirrel Who Stole Dinner”. This story centers around a pesky squirrel who stole the dinner of hunter who lives in the forests and the hi-jinks that ensue on his quest to get that dinner back. The forest was filled with persnickety hedgehogs, beautiful birds, cunning foxes, tricky squirrels and more! The kids created their own costumes and backdrops, creating a fully realized forest world. I was very impressed with the dialogue created by the kids. It was smart and really funny! Dialogue is always tricky for the kids to grasp but not these kids. I want them to help me write my next play! Our other Dramatic Kids! 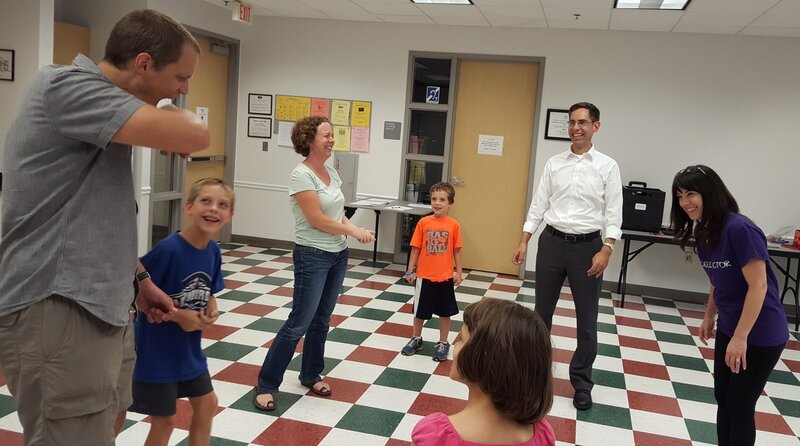 Camp took place at Lee District RECenter with Fairfax County Park Authority. Their script was called “Dinos Versus Heroes: Through Time”. This epic adventure through space and time had awesome characters like Flamebot, a Robot from the future who could throw flames, or Dark Shine, a superhero sent to the past to stop the Dinosaurs from taking over the world! Each students character was extensively thought out and when inquiring about their characters each had a full backstory they would recite to me. One of my other favorite moments from last week occurred at Lee District. I routinely stop by each of our locations to check on the teachers and the campers to make sure they are having the most successful week they can. When I got to Lee District I heard a child run up to me and proudly exclaim “Hi Miss Rachel!”. She was so excited to tell me “I was in your Dramatic Kids class last year!” and of course I remembered the lovely Joelle. She had loved our camp so much she had told her parents over and over she wanted to come back for another summer. I was so excited to see and hear that from her. That is a special memory I will take forward for the next nine weeks of camp! ​Well that was our first week of camp! 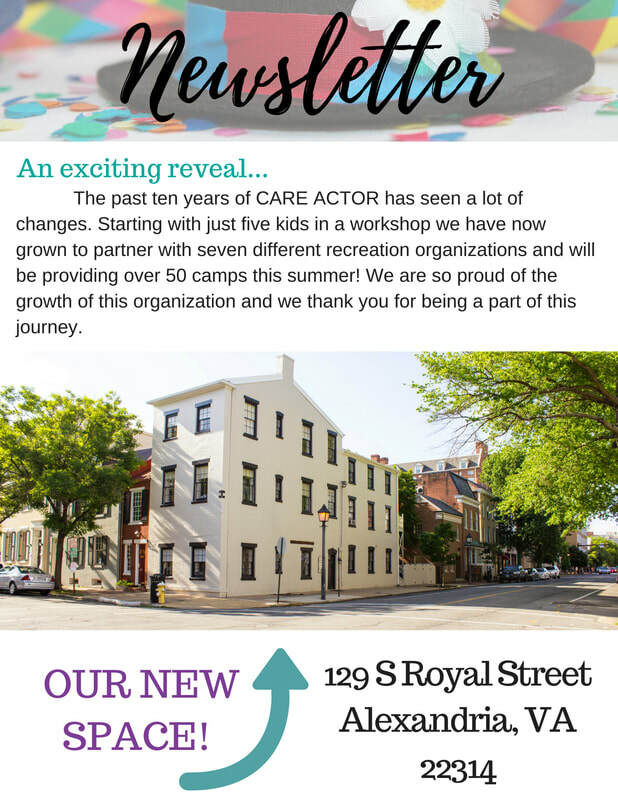 I look forward to checking back in with you all next week for more tales from our Care Actor camps!